( 1 ) – ( 2 ) – ( 3 ) – ( 4 ) – more soon…. In my characteristically quirky random way of doing things, I didn’t mention what we did before going to Masada. Marcel, Magnus and myself stocked up with food and supplies at a Talpiyot supermarket for camping expedition in Marcel’s work’s Fiat Doblo van. The camp site we stayed at was pretty good in terms of location. The toilets were nasty to say the least, the camp site itself was free but the toilets required some coins put into a turnstile gate, but this was not working, probably as no one was taking care of any cleaning or maintenance. 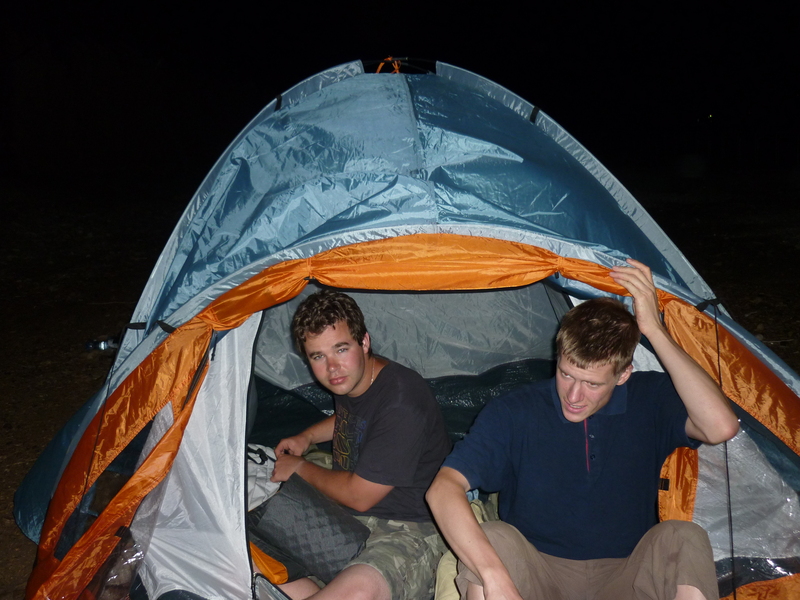 When choosing a place to put our tent, some of the other people were a bit noisy, there were several cars playing Arab music rather loud, we had to get to sleep early as we planned to get up at 3am (!) to walk up Masada to see the sun rise over the Dead Sea. So we pitched the tent closeish to the beach. This just required a scrape around of any big stones to get the ground as flat as possible for sleeping on. Something hit me when it got dark… This is the lowest place on earth, this is the lowest camp site on earth, AND, our tent is lower than everyone else’s. 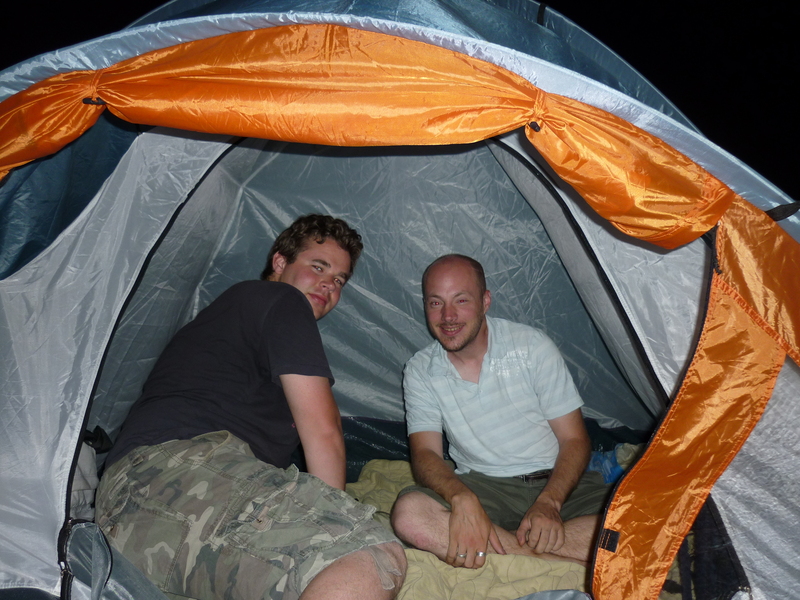 Therefore we spent the night in the lowest tent in THE WHOLE WORLD!!!! YEAH!!! !